Heat oven to 350°F. 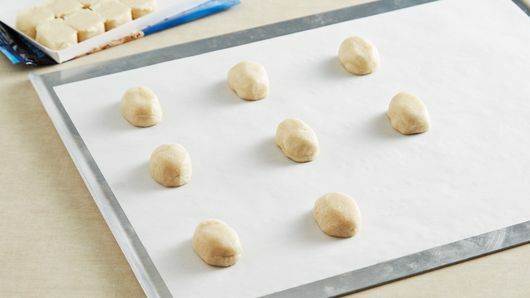 Place cookies 2 inches apart on ungreased cookie sheets; shape each cookie into oval (do not flatten). Bake 11 to 15 minutes or until edges are golden brown. Cool 1 minute; remove from cookie sheets to cooling racks. Cool completely, about 20 minutes. Melt candy coating as directed on package. Working with one cookie at a time, dip top of cookie into melted candy coating, letting excess drip off. Place 2 pretzel halves on top of cookie for antlers, 2 candy eyeballs for eyes and 1 mint candy for nose. Repeat with remaining cookies. Store in airtight container. 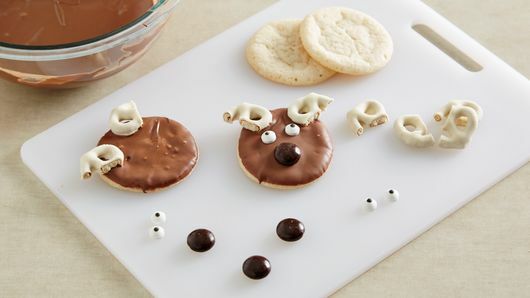 Try chocolate drop candies for the reindeer noses. 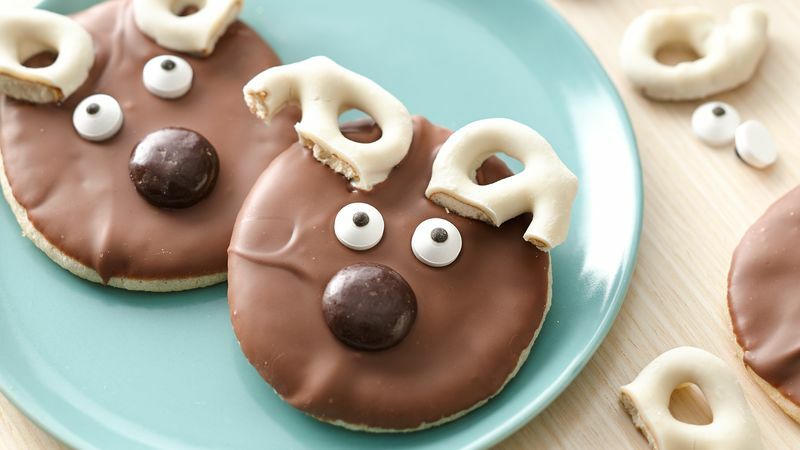 Try candy-coated chocolate candies for the reindeer eyes.